In my previous 24 VMware Articles, most featured Intermediate VMware Topics, my next series of articles will concentrate on topics for the VMware Novice. In these series of basic VMware articles, I'll be showing you the basic skills required to install, configure and deploy virtual machines using VMware's FREE VMware vSphere Hypervisor. 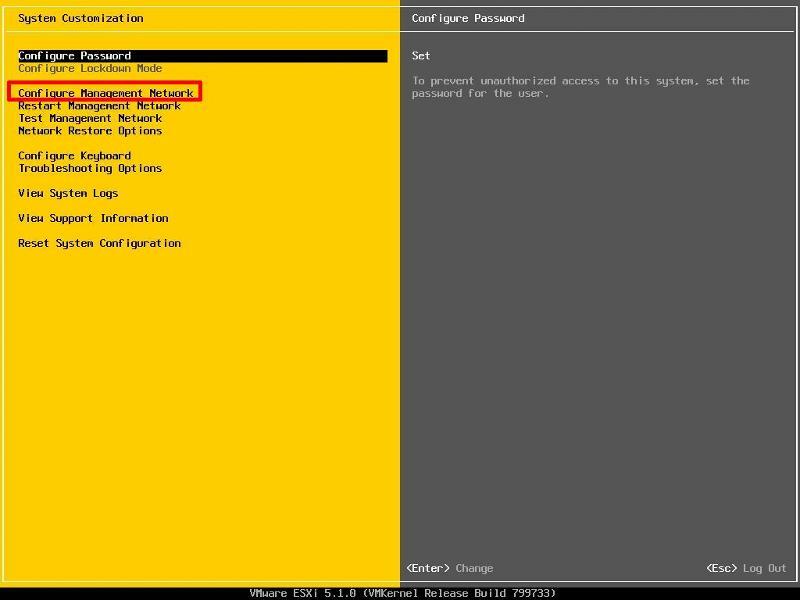 This article will show you how to install and configure the VMware vSphere Hypervisor 5.1 on a computer. 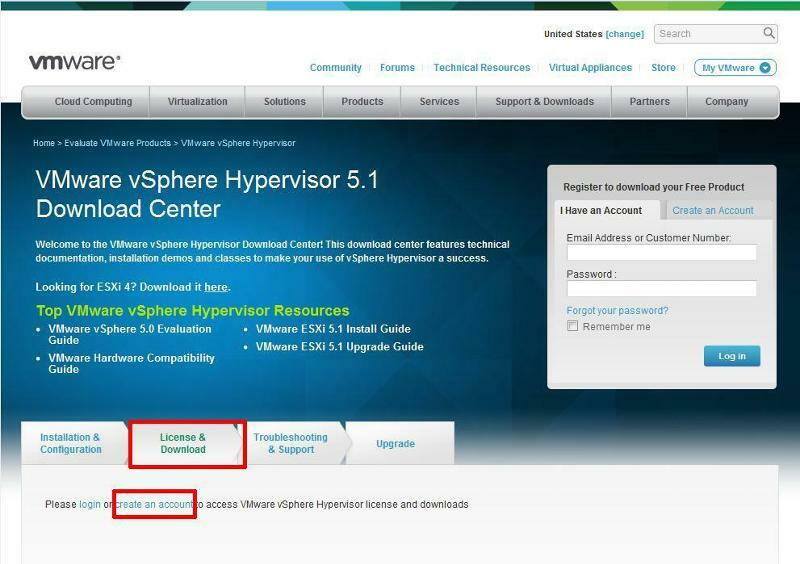 VMware vSphere Hypervisor 5.1 is also known as ESXi 5.1. The FREE version of ESXi 5.1 is limited to 32GB per server. ESXi 5.1 will install and run only on servers with 64-bit x86 CPUs. ESXi 5.1 requires a host machine with at least two cores. ESXi 5.1 supports only LAHF and SAHF CPU instructions. 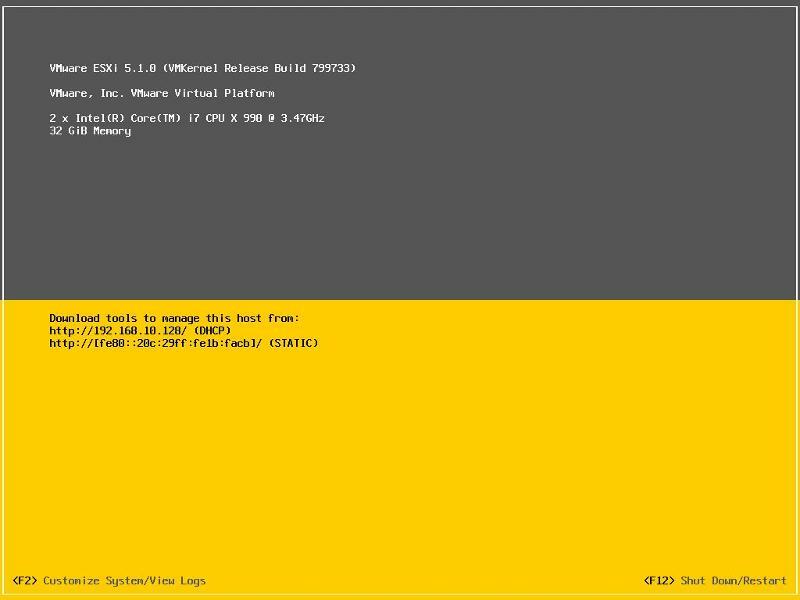 ESXi 5.1 requires the NX/XD bit to be enabled for the CPU in the BIOS. 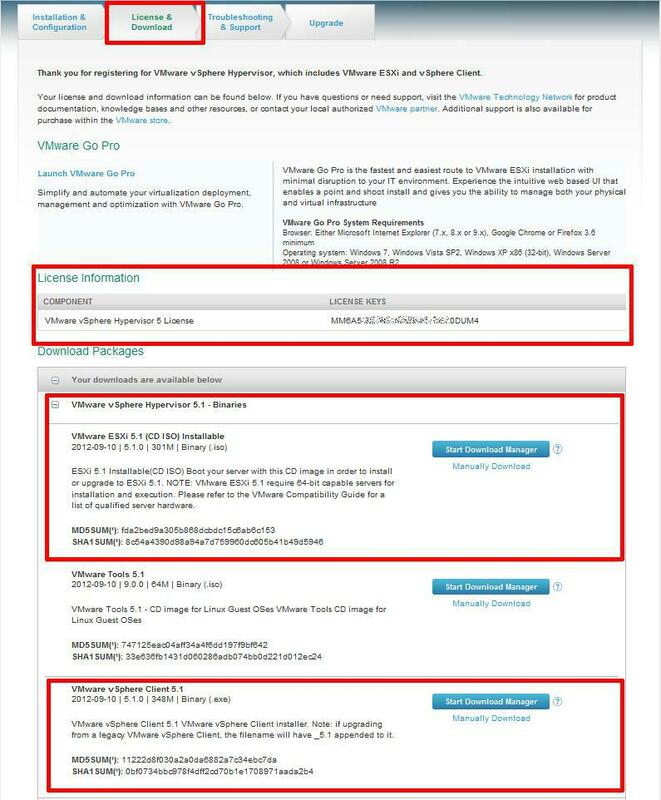 Check the VMware Hardware Compatability Lists (HCL), to discover if your computer is certified for use with ESXi 5.1. If your computer is not listed on the VMware HCL, it may still be possible to install and run VMware ESXi 5.1 on your laptop, desktop, or server. The HCL exists because the server vendor and VMware have certified and tested ESXi 5.1 will function correctly, on the servers listed on the HCL. 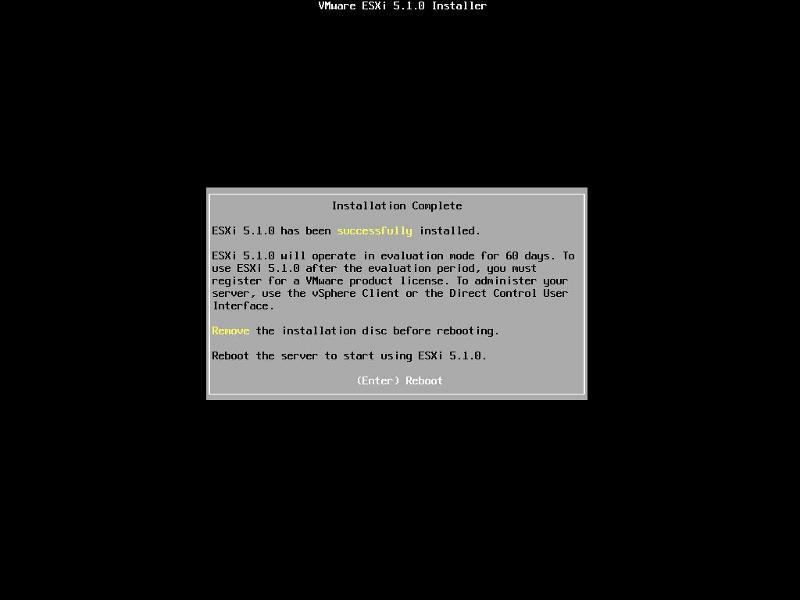 Click the download link for VMware ESXi 5.1 (CD ISO) Installable to download the software required to install ESXi 5.1 and also download the VMware vSphere Client 5.1. The VMware vSphere Client 5.1 software is the client software that allows us to connect and manage the ESXi 5.1 server, this will be required in a later article. Once the downloads have been completed using your favourite MD5 and SHA1 checksum utility, confirm the downloads have been downloaded correctly, using the published MD5 and SHA1 checksums from the VMware website. 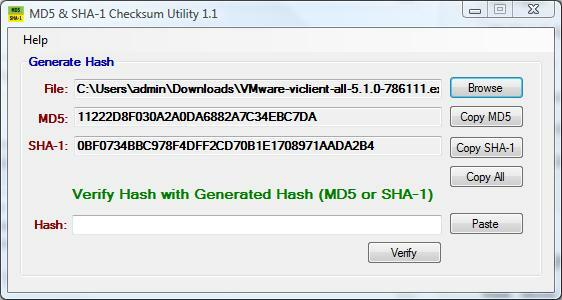 We use the MD5 & SHA-1 Checksum Utiliy 1.1 from http://raylin.wordpress.com/downloads/md5-sha-1-checksum-utility/. Many VMware vSphere Hypervisor 5.1 installations fail due to corrupt downloads. Write (Burn) the VMware-VMvisor-Installer-5.1.0-799733.x86_64.iso downloaded in Step 1, to a blank CDROM, using your favourite CD writing software. We use ISO Recorder (http://alexfeinman.com/isorecorder.htm). If you are using remote server utilities, e.g. HP iLo or Dell iDRAC,. you can attach the virtual CDROM drive in the server to the VMware-VMvisor-Installer-5.1.0-799733.x86_64.iso ISO, so there is no requirement to write a CDROM. 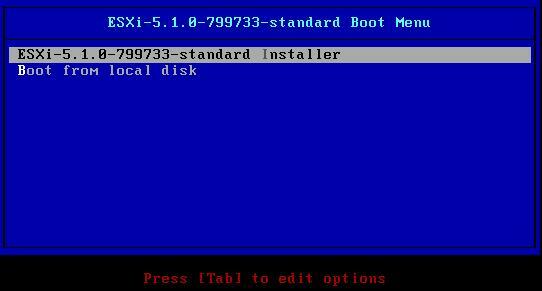 The default option is to BOOT ESXi-5.1.0-799733-standard Installer after 10 seconds, hit any key will pause the BOOT process. 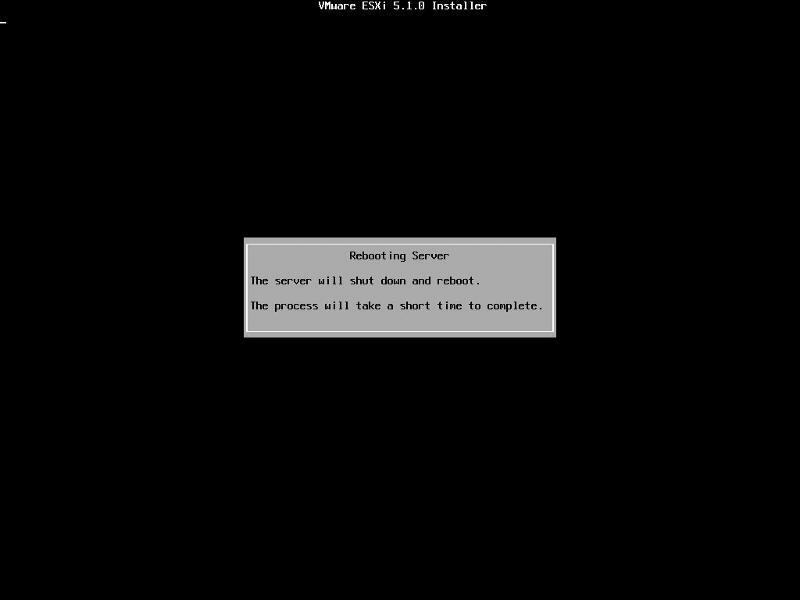 At the Welcome to the VMware ESXi 5.1.0 Installation screen Hit Enter to Continue the installation. When prompted select a disk to install ESXi on, in the following example, we have two disks connected to this computer, a single 1GB disk, and a 40GB disk. We are going to use the small disk for the OS. The larger 40GB disk will be used later for the storage of virtual machines. When prompted, select the keyboard layout and hit Enter to continue. ESXi 5.1.0 will operate in evaluation mode for 60 days. This is the same mode as a FULLY LICENSED ESXi 5.0 server. If you wish to evaluate all the bells and whistles that ESXi 5.0 has to offer, do not register your FREE license. for 60 days, this will allow you to evaluate ESXi 5.0 server fully. On day 59/60, Apply your FREE license to continue using the product, or you will not be able to power on any virtual machines. 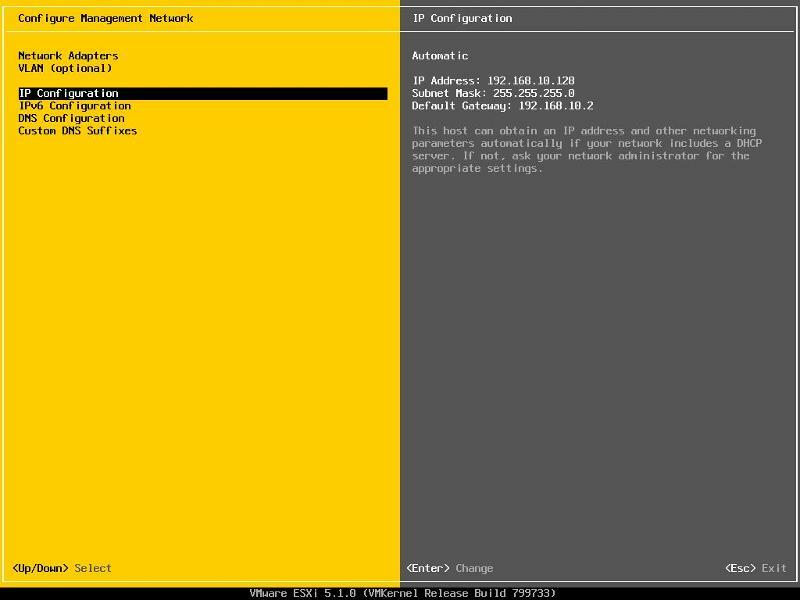 Set the Static IP address and network configuration, Subnet Mask and Default Gateway, it's important to set the correct Default Gateway, as this will be used later. Hit Enter to confirm and save the configuration. Congratulations you have successfully installed and configured VMware vSphere Hypervisor 5.1. In the next article in the series, we will connect and continue to configure the VMware vSphere Hypervisor 5.1.